Young, fruity, subtle floral notes - sometimes honeysuckle, sometimes violet. Slightly spicy with hints of liquorice. Lively, but without a reason or sweetening on the finish. The Normandin Mercier VSOP Cognac is a great introduction to the talent and passion of this ancient cognac house. Offering exceptional value for money, this is a very versatile VSOP quality blend to have in your cabinet. It can be enjoyed in many ways - the house suggests as an aperitif, or with a mixer to create a long drink, or even as a base in your favorite cocktail. 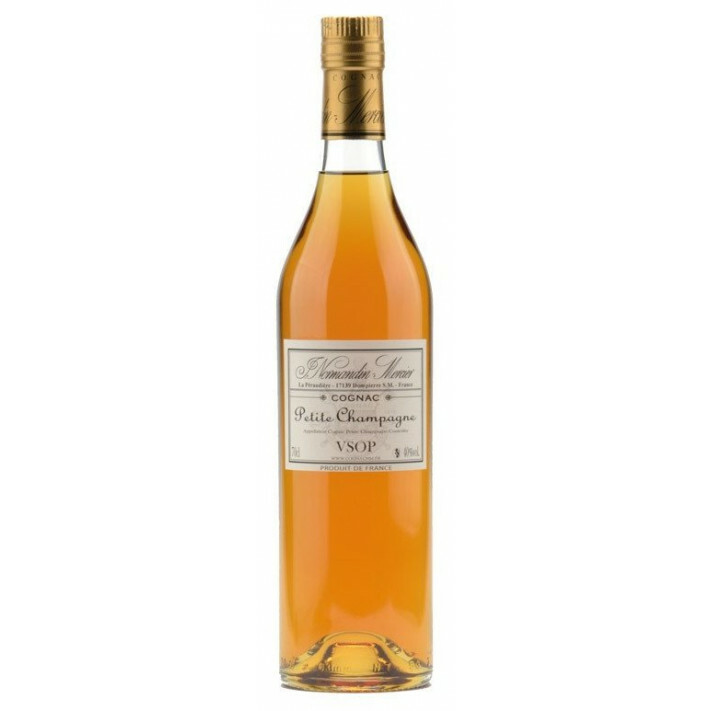 This is a blend created solely from the Petite Champagne growing region of Cognac - and it imparts so many of the qualities that makes the grapes grown here worthy of the title of 'fine champagne'. Concentrating solely on cognacs produced from both the Petite and Grande Champagne, Cognac J Normandin-Mercier is based in the beautiful surroundings of Chateau de la Peraudiere. The brand remains faithful to its century old traditions to create cognacs that range from a VSOP upwards, along with a selection of Pineau de Charentes. This family run cognac house is today headed by Edouard, Jean-Marie and Audrey Normandin, who together strive to ensure their products are created with the personal touch and expertise for which the brand has become known for.